No Way! — Ginger writes. 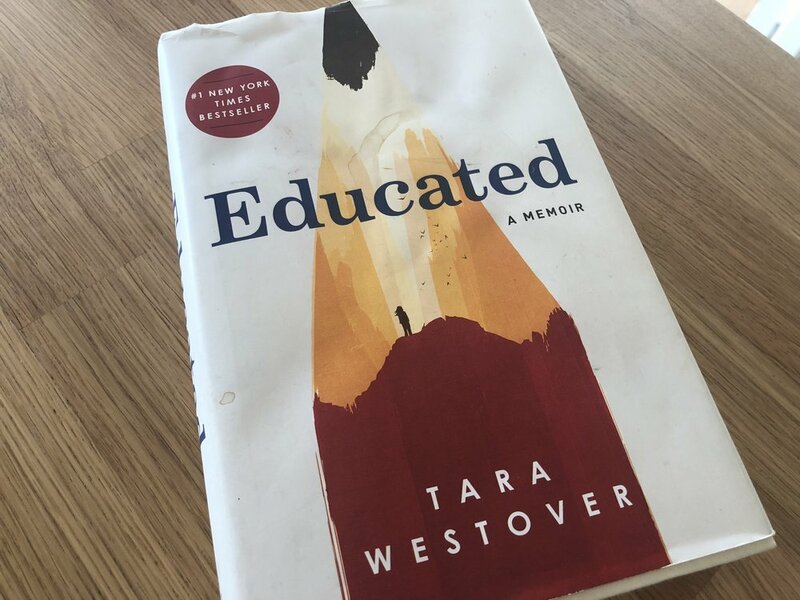 As I read Tara Westover’s memoir, Educated, this past week, I found myself thinking again and again, “No way!” The obstacles Tara overcame from her childhood to be who she is today were so far-fetched, some of them, that one might not believe they could actually happen. The crazy parts began to be more believable when it was revealed that Tara’s father was suffering from mental illness, although I don’t think mental illness could explain away everything. It was a story of suffering, of sadness, of so much loss. It was also a story of redemption and hope and the healing that comes through acknowledging what’s true, even if the truth is scary. Even as my head, at times, was saying No way! to Tara’s story, my heart was listening deeply. I am thankful I could play a part in letting Tara tell her story, just by listening, because I know from my own experience as a writer how helpful it can be to talk about what has happened or is happening. Part of the story I’ve been telling in recent months centers on my desire to become a more nurturing, responsive, and available mom to my children. To move from a feeling of inadequacy and a storyline of No way, I could never be that kind of mom, to a realization that I can change and be more than what my past has shaped me into fills me with hope and gratitude. There came another No way moment, a few nights ago, when I was reading Educated before bed, and a little card fell out of the book. I had borrowed the book from a friend, so I assumed one of her children wrote the note. But when I saw the message, it felt like God wrote me the note, to affirm my desire to delight in my children as He delights in me. I took a picture because the moment felt important and miraculous.